Our plumeria, after about 4-5 years, is really taking off during this extra-hot summer. 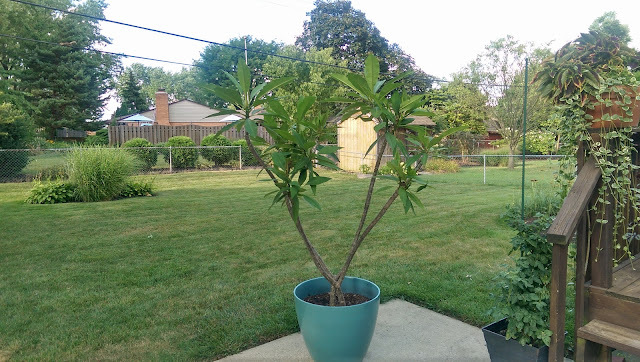 This plant started out as a stick (literally) in a small pot of soil. Really looked pathetic. Could not have imagined it would grow into this beauty. I'm hoping that it flowers as the days get cooler, as their fragrance is awesome.